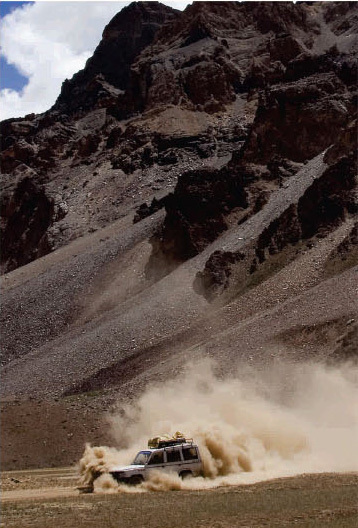 Tuned firmly to the pulse of the Indian Subcontinent, Indo Asia believes that the lesser-treaded trails are the most thrilling ones. It is our constant endeavor to do deep research and offer exceptional itineraries in breathtaking locations, with knowledgeable experts who can help you unearth hidden gems. We keep our focus on not just where you travel but also how you travel. Offering you a span of options for transportation, accommodation and activities to complement your trip. We seek the best travel arrangements as the backbone for a successful trip, so only the experiences can be the cynosure of your time. 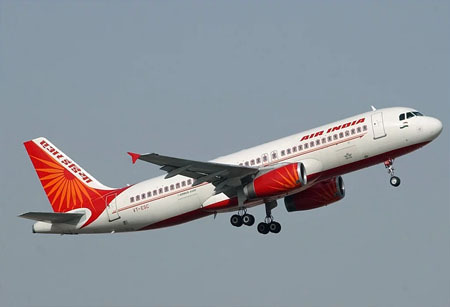 It is imperative for us to provide all information and services on a skeleton of stellar technological infrastructure, so accessing the information is easy for the travellers. 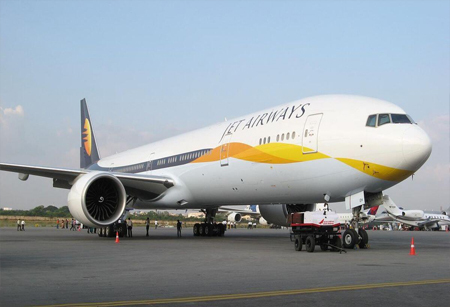 Be it booking information, help and sharing itineraries, we use a technology heavy platform to ensure smooth journeys. We believe that travel is not only about visiting new places, but it changes the prism through which one sees the world. We care to ensure that there is minimal intrusive footprint and that each itinerary adds a dimension of sustainability in tourism. Tailor made experiences, designed to accommodate personal interests, with exclusive access to sights and experiences. Handpicked gorgeous backdrops and intensely curated local experiences that make the most engaging itineraries. The most extravagant and indulgent accommodations, experiences, activities and transportation options for discerning elite travellers. Meticulous arrangements of hotels, restaurants, spa services and more without the strain of bookings and follow ups. Unravel the beauty of the cultural mélange that drapes the country. Escape from the mundane to nurture your mind, body and soul. Be suspended in the aura of spectacular jungles with their inhabitants. A collection of adrenalin pumping activities and thrilling explorations await. Your big day comes alive with incomparable locations and meticulous planning. 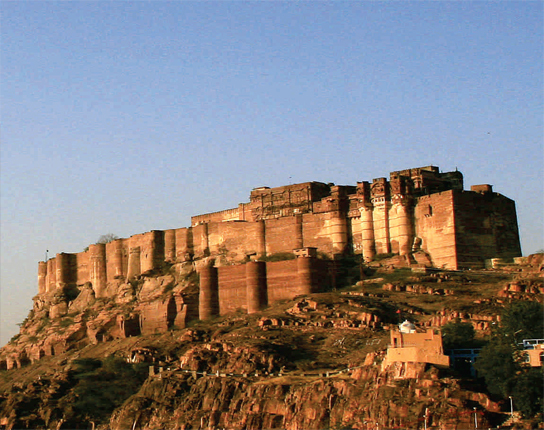 An ethereal world unfolds as you step into the sun-scorched palaces and ancient forts perched on impregnable hilltops of India. 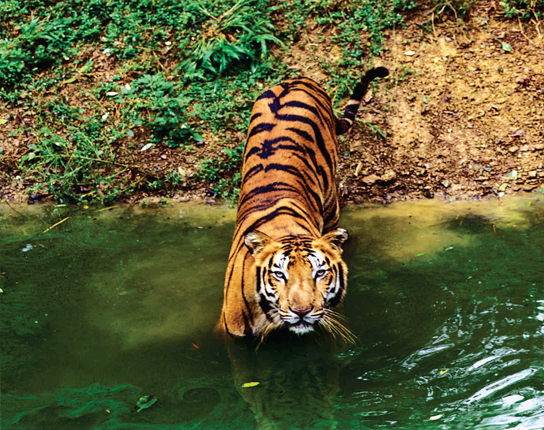 The dense folds of the jungles are home to tigers, rhinos and elephants, making India a striking wildlife destination. The capillary-like network of rivers of India gives travellers the opportunity to view a unique landscape and life around it. Steel grey highways and off the beaten tracks are sure to take a rider on a memorable journey. Complementing the wonder in white marble, Taj Mahal, is a grand hotel that lies only 600 meters from it – the Oberoi Amar Vilas. The highlight of the hotel lies in the fact that all rooms face the Taj Mahal and offer unprecedented views of the structure. This is specifically beautiful on a moonlit night. 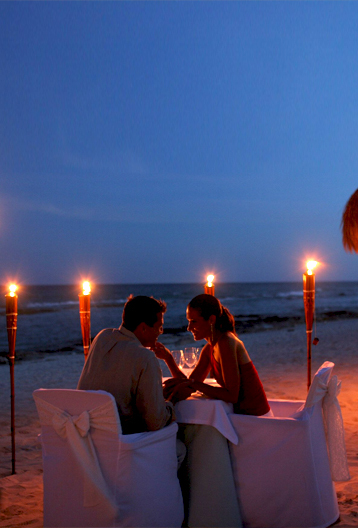 You can ask for your food to be served in your personal balcony to make a romantic evening out of it. The other amenities like spa, swimming pool and ample dining options add to the pampering while you stay here. Reach here via a suspension bridge – what a great way to add intrigue to your accommodation. Apart from just the entry intrigue, the hotel is a haven for those who want to be wedged in nature’s lap. The Mo Chu River flows close to the resort and the rooms overlook paddy fields. There are only 8 suites, which ensure that you get personalized attention at all times. Local aesthetics in the architecture is an additional charm. 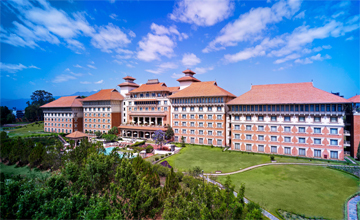 Nothing compares to the panoramic view of the mountains from the comfort of your bed, as the warm hospitality percolates into every single aspect of your stay at the 5 star property in Kathmandu. Expect traditional nuances in the architecture, excellent cuisine and 37 acres of a vast compound, dotted with luxuries like spa, swimming pool and pavilions to sit and enjoy the view. 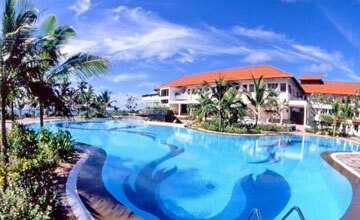 Located in Bentota, the Taj property is perched on one of the most serene beaches on the southwest tip of the country. 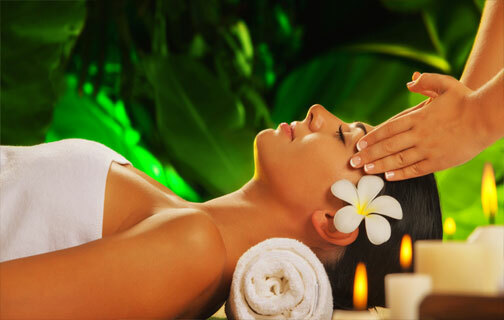 The resort promises complete invigoration, by its superior spa facilities. Elegant private spots to unwind, excellent local cuisine and the classic Taj hospitality, ensures that you feel completely rejuvenated. 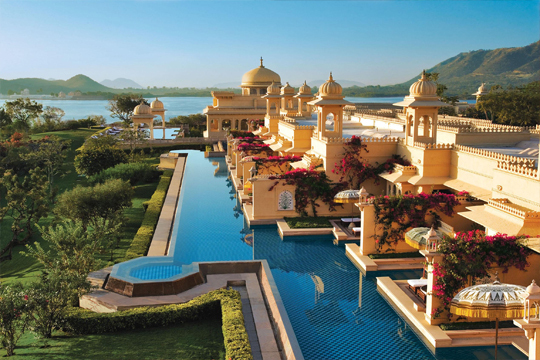 A Starwood property, stay at St. Regis is nothing less than extraordinary. 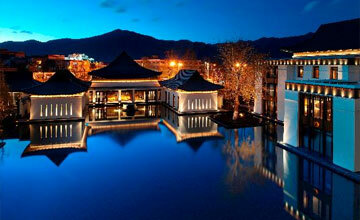 Soothing ambience, superior amenities and well thought-out facilities make the stay in Lhasa, excellent. Find peace and serenity in every corner of the resort – the ideal way to unwind on a holiday. The Tibetan culture is close to you in every nuance of hospitality and aesthetics. 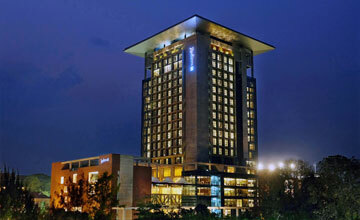 Your Chittagong experience is amped up by a stay in one of the most luxurious properties of the city. The view of the bay and the crests and troughs of the hills around, is a perfect accomplice to your sightseeing days in the city. The hotel is ideal to unwind with its contemporary ambience and warm traditional hospitality of the locals. A heritage walk is the best way to get into the skin of the city – for better understanding and orientation about the history of the place. 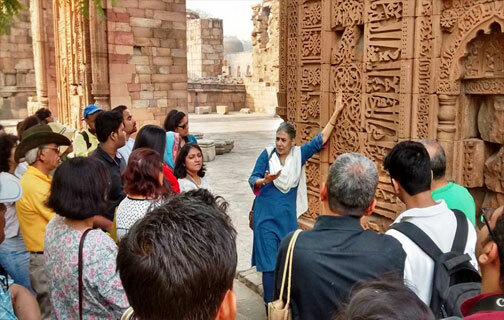 Indo Asia plugs in excellent heritage walks in key cities like Delhi..
A heritage walk is the best way to get into the skin of the city – for better understanding and orientation about the history of the place. 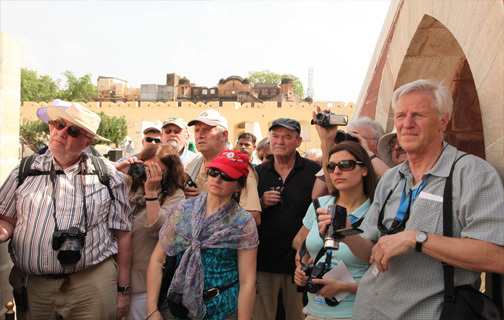 Indo Asia plugs in excellent heritage walks in key cities like Delhi, Mumbai, Kolkata, Varanasi and Cochin with experts from the city. For example, in Mumbai, guests start from the Gateway of India designed by Scotland-born architect, George Wittet. They dive into the architectural nuances and then walk up till Shivaji Marg past the members-only colonial relic Royal Bombay Yacht Club on one side and the Art Deco residential-commercial complex Dhanraj Mahal on the other. The walks are short, not tiring, but packed with stories and legends that tie back into the current state of the city. Some destinations just lend themselves to understand the rural landscape of India. This is especially true for Deogarh and Chettinadu, where we organise village walks for guests. Here, you can enjoy the sight.. Some destinations just lend themselves to understand the rural landscape of India. This is especially true for Deogarh and Chettinadu, where we organise village walks for guests. Here, you can enjoy the sight of villagers performing their day-to-day activities; women getting water from the community well, washing clothes and carrying water back to their homes in beautiful matkas (clay pot) on their heads. The men folk are busy in agricultural farms or at their potter’s wheels, tending the cattle and other work. The sense of calm and peace in a village is a pleasant contrast to city life. In Chettinad, you get to see weaving sheds, buzzing with activities like spinning, dyeing and weaving textiles, especially saris. Any destination that lends itself to the understanding and immersing in the natural bounty is a refreshing choice for travellers. 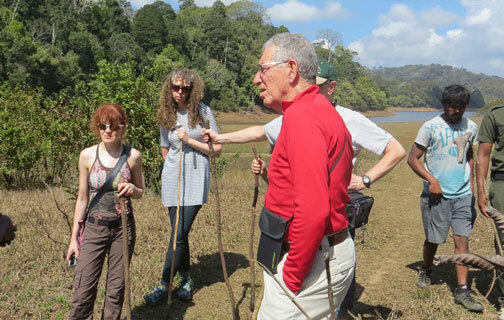 The experience is made better with a nature walk with experts to understand the topography better. Any destination that lends itself to the understanding and immersing in the natural bounty is a refreshing choice for travellers. The experience is made better with a nature walk with experts to understand the topography better. We walk through villages, nature trails and into the slim lanes of hamlets. Apart from getting more information on the local flora and fauna, it is a good way to see local life at close quarters – women and men at work in the fields, children going to school or people sitting under the shade of a tree. 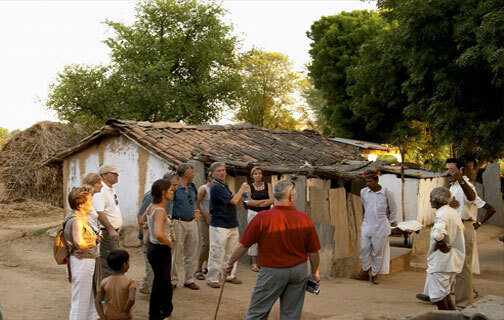 Surely this walk gives a chance to the guest to see the life of the local people and will and understand the culture. 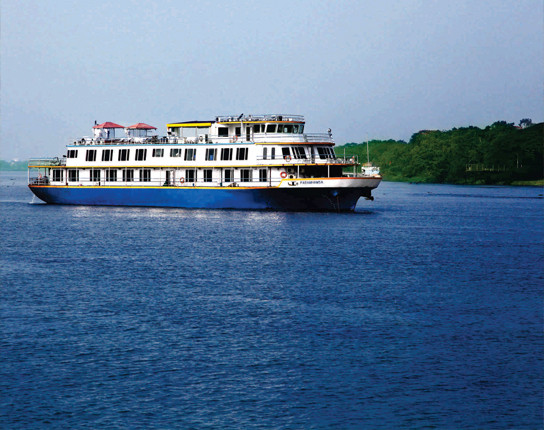 Destinations like Periyar, Dharamshala, Ranakpur and Darjeeling are conducive for this activity. Many of the small hill trains in India have a huge heritage legacy; some have even made it to the list of UNESCO’s World Heritage sites. This is a fun experience. One can sit for a short distance and see how this train.. Many of the small hill trains in India have a huge heritage legacy; some have even made it to the list of UNESCO’s World Heritage sites. This is a fun experience. One can sit for a short distance and see how this train chugs onto the sinuous tracks along the hills. 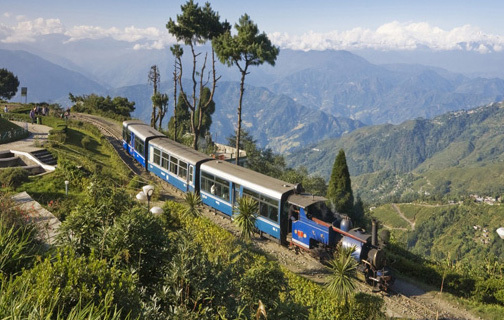 In Darjeeling, the experience is something like this – the toy train wends its way to Ghoom Monastery which is 11 km away from Darjeeling, The Darjeeling Himalayan Railway, nicknamed the "Toy Train", is a 2 ft (610 mm) narrow gauge railway from New Jalpaiguri to Darjeeling. Since 1999 the train has been a World Heritage Site as listed by UNESCO. On the way the train passes through Batasia Loop with its memorial to the Gorkha soldiers. From here you can get a spectacular view of Darjeeling town with the Kanchenjunga and other mountains. A similar experience awaits in Shimla and Ooty. 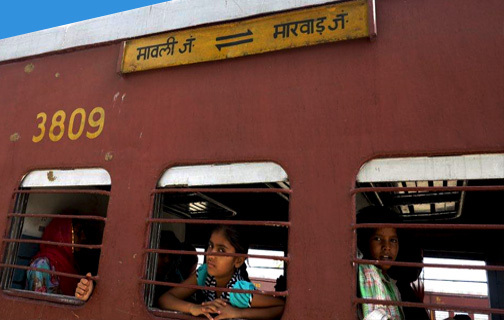 Very few rural train rides are possible in India. One of the places that we have identified is the train safari in Deograh, which embodies all the nuances of sightseeing in rural India with the slow chug of a train. Very few rural train rides are possible in India. One of the places that we have identified is the train safari in Deograh, which embodies all the nuances of sightseeing in rural India with the slow chug of a train. It is a 1.5hours ride on the meter gauge train. The train was started by the British. It starts from Kamblighat (10 minute drive from Deogarh Mahal), where a lone stationmaster mans everything. The ride ends at Phulad, a 30 minutes by road from Deogarh. This is also the highest track on the Western Railways of India. The train doesn’t have a name, but is christened with the number, ‘222’. The route of this train was used as a backdrop to Rudyard Kipling’s famous book and movie, “The Man Who Would Be King”. The sari and the turban are veritable symbols of attire for women and men, respectively. The bright colours and different textiles used are bound to be fascinating for the travellers. With that.. The sari and the turban are veritable symbols of attire for women and men, respectively. The bright colours and different textiles used are bound to be fascinating for the travellers. With that, comes the exciting part of wearing them. We organise for locals to give you pointers on how to wear these in the most authentic manner. A photo opportunity for posterity soon follows this session. 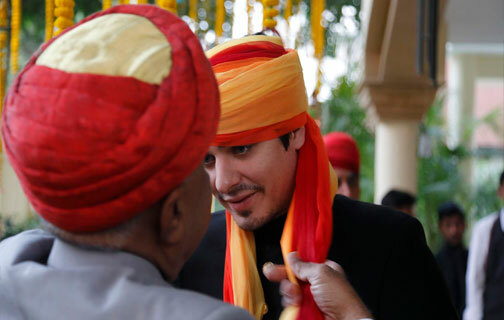 This activity is best for Jodhpur and Jaipur, since turbans are part of the usual attire for men. Nasik and Pune have become veritable symbols of winemaking in the country, paving the path for many more. 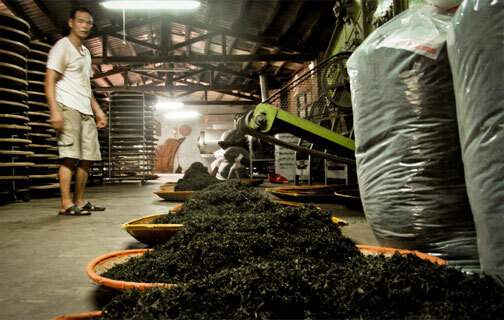 A trip to the vineyards, processing unit and a tasting session is on the cards when visiting these cities. Nasik and Pune have become veritable symbols of winemaking in the country, paving the path for many more. A trip to the vineyards, processing unit and a tasting session is on the cards when visiting these cities. Nasik has become such a popular spot, that an annual festival in the backdrop of the vineyards is held every year. A trip to the vineyards constitutes of a walk through the slim rows of the grape plantations and then coming back to the processing unit. 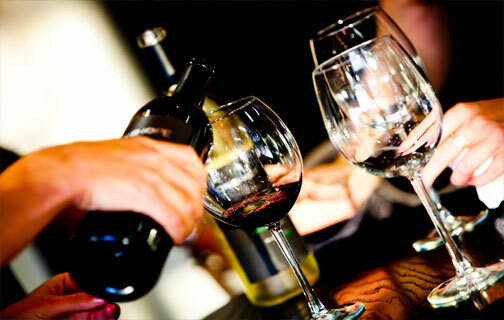 A meal and wine tasting ensues, offering a great way to relax and put your palate through some indulgence. 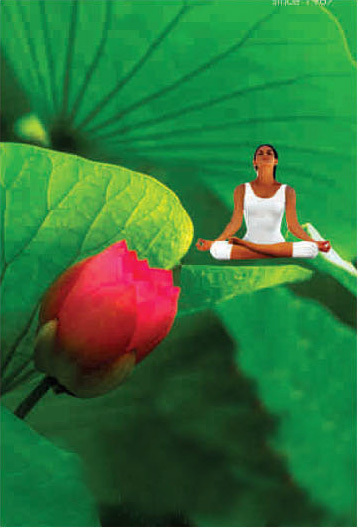 India is sitting on a longstanding lineage and vast knowledge of Ayurveda. This can especially be seen in the state of Kerala. Along with that new and more contemporary methods of rejuvenation have entered the country. 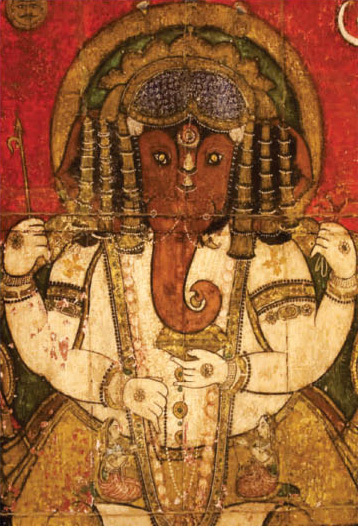 India is sitting on a longstanding lineage and vast knowledge of Ayurveda. This can especially be seen in the state of Kerala. Along with that new and more contemporary methods of rejuvenation have entered the country. After a weary day of sightseeing, travellers can soak in the comfort of a spa and relax to recuperate for more days on the road. Most high-end hotels in your itinerary have this service. For a more serious Ayurveda package, reserve atleast 7-21 days where masseurs take you through rigorous but relaxing massages. This is coupled with great food that goes with the therapy. 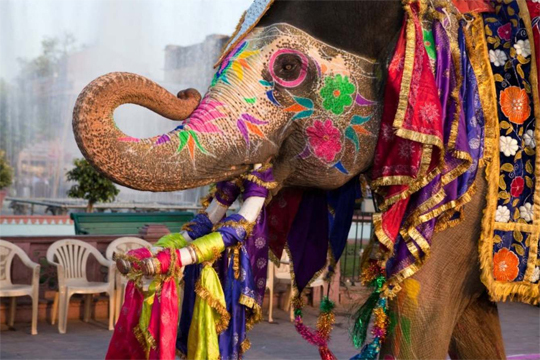 Food for your soul comes in the form of Yoga and meditation and there is no better place to experience this, but India. 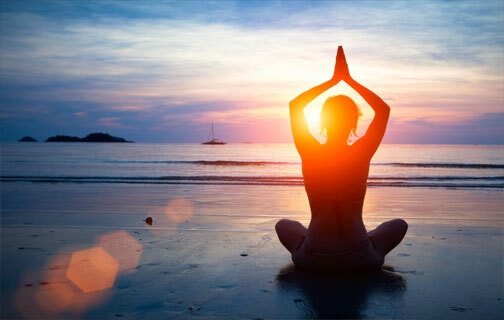 A number of yoga ashrams have been part of India’s landscape for ages and even hotels..
Food for your soul comes in the form of Yoga and meditation and there is no better place to experience this, but India. A number of yoga ashrams have been part of India’s landscape for ages and even hotels have facilities for sessions. In fact, many of them have yoga pavilions also built inside resorts. Try your hand at yoga in short and long-term programmes under the supervision of experts. Classes are available in all parts of the country, but we usually direct our clients to Rishikesh and Haridwar, the home to yoga. 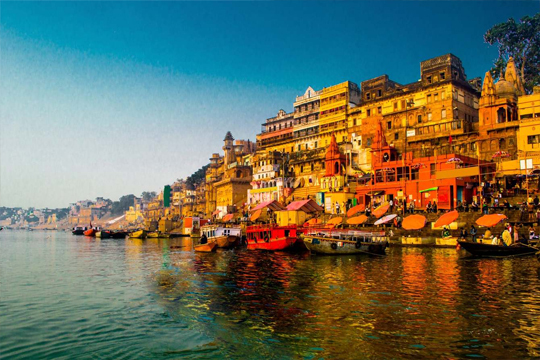 Here, the Ganga River, makes for a soulful backdrop to the peace and serenity that you can achieve in the ashrams. Golf is a sport that was brought to India in the colonial rule, but has persisted even decades hence. In fact, the country is home to a number of golf courses and the sport has been catching on for years. Golf is a sport that was brought to India in the colonial rule, but has persisted even decades hence. In fact, the country is home to a number of golf courses and the sport has been catching on for years. The highest golf course in the world is situated in Gulmarg. 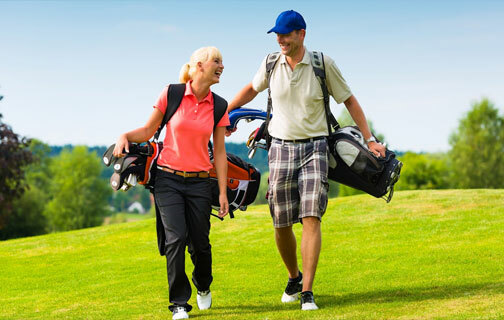 Other cities like Delhi, Bangalore, Kolkata, Mumbai and Ahmedabad also boast of excellent facilities and amenities in the golf course. You can plug this in your itinerary or we can customize a full golf holiday for you. One of the best way to see a destination is with the slow pace of a cycle. 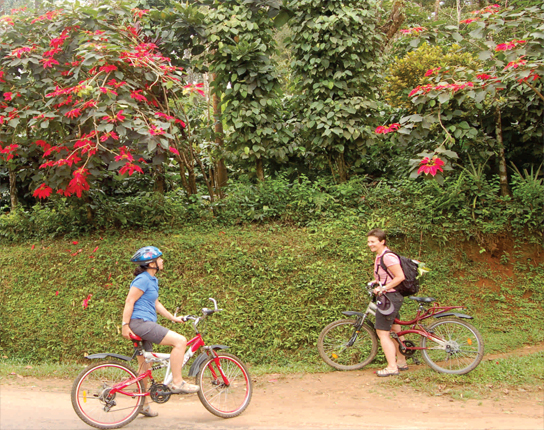 Travel by cycling has been growing popular in the last five years. The best trails lie around Coorg, Leh, Rajasthan and Delhi..
One of the best way to see a destination is with the slow pace of a cycle. Travel by cycling has been growing popular in the last five years. 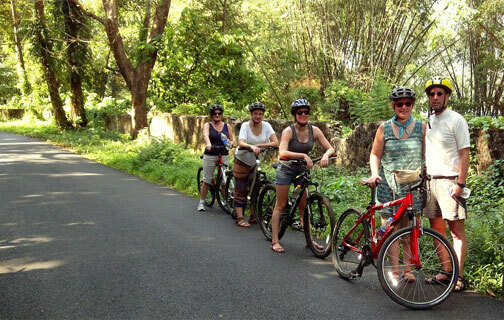 The best trails lie around Coorg, Leh, Rajasthan and Delhi, where we organise these cycling trips. The slow travel through the countryside gives the traveller an opportunity to see local life at close quarters and also be in the company of stunning topography - whether it is the cold desert of Ladakh, the lush coffee estates of Coorg or the sandy dunes of Rajasthan. The trips are led by an instructor and dependable outfits who have professional gear and backup vans. The trip is detailed as per the liking of the traveller. Indo Asia is committed to its cause of sustainable tourism. For this, we engage with a number of NGOs in different spheres - be it ecological activities , health or education. We encourage our guests to participate..
Indo Asia is committed to its cause of sustainable tourism. For this, we engage with a number of NGOs in different spheres - be it ecological activities , health or education. We encourage our guests to participate in these initiatives, even if it is for a short time. 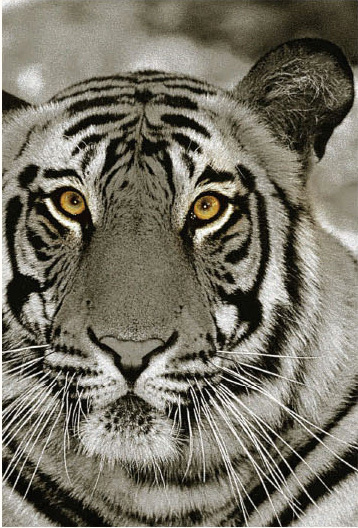 We also give a glimpse of other non-profit work in different parts of the country, like Ranthambore, Rewa, Bhuj, Pushkar and Kolkata. 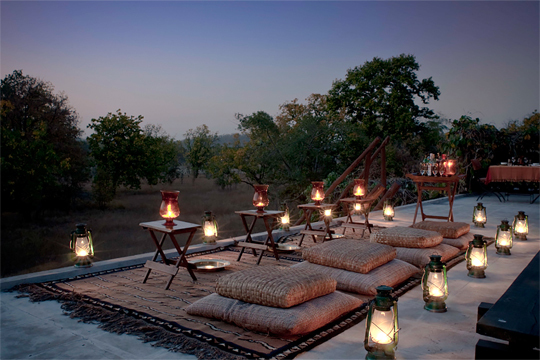 A stellar example lies in the Ranthambore National Park. When this was created, many communities of the Sawai Madhopur area, who were living on forest produce, lost their source of income. Ranthambore Foundation approached Dastkar, a cultural NGO to initiate income generation activities among women. Markets for local craft traditions of that area were revisited and now many of the handicraft products reach both bigger cities of India and International destinations. India is a land of many dimensions – in its food, culture, traditions, language, festivals and history – making it a vibrant pot pouri that promises an unmatchable holiday. India is a land of many dimensions – in its food, culture, traditions, language, festivals and history – making it a vibrant pot pouri that promises an unmatchable holiday. To really understand the nuances of each aspect, it is imperative to have some local interaction. This is planned in a city of your interest, where one on one conversations can transform an evening into a great interaction. We can also organise a talk by an expert on a topic of choice by the traveller. This induction into the country’s many hues is bound to be more longstanding. Adding local cuisine to the mix is sure to amplify your understanding of the culture of a place. 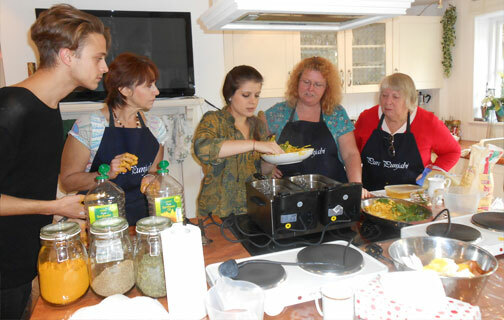 Some guests might want to deep dive into the ingredients and also learn how to cook some of the local dishes. Adding local cuisine to the mix is sure to amplify your understanding of the culture of a place. Some guests might want to deep dive into the ingredients and also learn how to cook some of the local dishes. For example, the cuisine of Rajasthan is influenced by the climate of the state as well as the war conditions in the past centuries. Because of inadequate water, lack of green vegetables is something one will notice. A cooking demonstration with a local family is the best way to understand this. We organize this in Jaipur. The same goes for places like Coorg, Delhi and Periyar. The country is home to some of the most verdant tea estates in different parts of the country; Munnar, Darjeeling, Ooty and Dibrugarh and many more. If these destinations fall on the itinerary, the travellers.. The country is home to some of the most verdant tea estates in different parts of the country; Munnar, Darjeeling, Ooty and Dibrugarh and many more. If these destinations fall on the itinerary, the travellers can look forward to a visit to the tea factory to see the processes and end it with a tea tasting session. Most tea estates have a rich historic past. For example in Munnar, the lineage of tea goes back to when it was first brought by James Finlay & Sons who formed the Kannan Devan Hill Produce Company, which ultimately became Tata Tea Company. 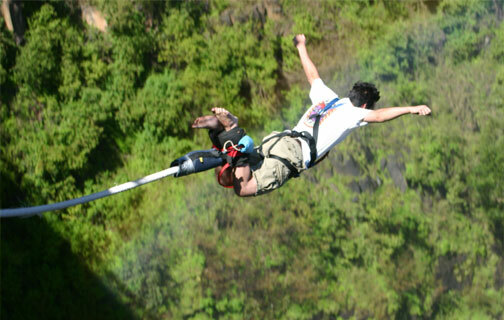 One of the most adrenalin pumping activities in the Himalayan country of Nepal, bungee is not for the faint-hearted. Experts assist you in diving off a bridge over a 160 m high tropical..
One of the most adrenalin pumping activities in the Himalayan country of Nepal, bungee is not for the faint-hearted. Experts assist you in diving off a bridge over a 160 m high tropical gorge, with one of Nepal’s wildest rivers, Bhotekoshi, raging below. This is one of the most stunning locations of the world. 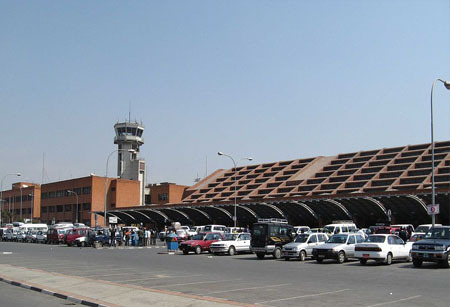 The site is located close to the Nepal-China border at Barahbise and is 3-hour bus ride from Kathmandu. 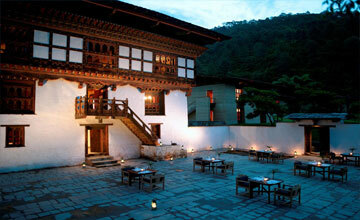 For an in-depth orientation to the culture of Bhutan, there is no better way than to join a local family for meal. 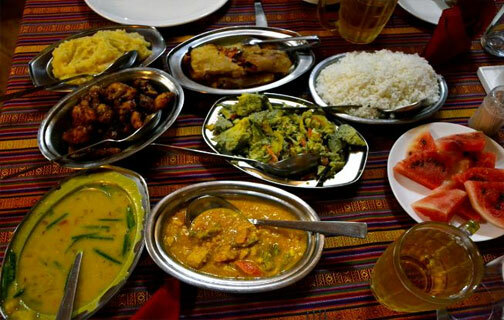 This is organised in Paro, where guests can savour a specially..
For an in-depth orientation to the culture of Bhutan, there is no better way than to join a local family for meal. This is organised in Paro, where guests can savour a specially organized traditional welcome dinner with a local family. Not only is one introduced to unique flavours, but also you can immerse yourself in Bhutan’s unique cultural and traditional values. Dear Mr. Amit and Mr. Lav! Our group is back in Germany and all the guests are very happy about this tour! Wolfgang, our tour leader, said, that all was perfect. The hotels, the program and your tour guide LAV!!!! LAV – ever the best guide!!!!! Dear Indo-Asia-Team, Thanks for taking care of the organization and arrangements for our India tour from Delhi via Jaipur and Agra to Varanasi, which we booked through Gebeco. It was really a nice journey that we enjoyed very much. There was so much to see, experience and learn. We would also like to thank your Driver Vijay Talwar. We always felt safe when we were driving on crowded roads, inside and outside of cities. We were amazed of how Vijay always knew the way to all the places without any SatNav and - most important - without getting lost! We really enjoyed the days when he was our driver and we would love to have him drive us again as soon as we come to India again. Hello Elesh and Monique, I'm back from the safari. Elesh, I would like to say that i'm really happy with the way everything was organised. Perfect hotels, drivers and co-drivers were co-opperative and helpfull and spoke good English. Thanks for the quick reply you gave to me every time I was asking for something. I will inform Monique about tips and tricks for next trips. Elesh, I hope to work with you again in the near future. Hi Vinay, Looks like Vikas was absolutely fabulous with the group. I thank you very much for that. We have received two trip evaluations back so far, and they were all very positive. The special gala night – what was that about? Sounds wonderful. Please thank everyone involved in planning this and Mr. Vikas especially for taking such good care of my clients. Dear Shailesh, The Siefert-Grp is back home and after a long call with Mrs Siefert she told me that everything WAS FINE and the group members are more then happy! Thanks for your very good service and for Mr Vikas Metha as the guide for the tour. He did a very good job!!!! 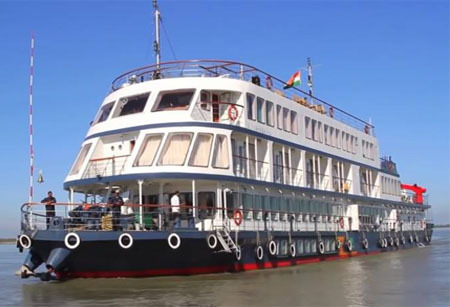 Wish to do more groups to India with you in future times to make lots of guests happy as the guests of the Siefert-Grp. Dear Amit, Cl. Schumacher just gave us feedback! They were totally happy with the tour. Everything went well! Perfectly organised. Driver Bastiram was absolutely great, they loved him. He cared so well! 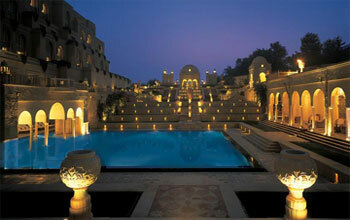 Guide Lalit in Jaisalmer and Lalit in Udaipur were great as well. Hello Elesh, With this mail I would like to thank you all for your help and good work to make the DEBE 2504 trip a successful tour. It must have been a lot of work and effort for you to arrange all the solutions. I have to say that in the end the amended tour was all well arranged. And all worked out very well. The group members also deserve a compliment because they were all the time positive and patient. In their name another THANK YOU. We enjoyed the tour and we enjoyed to be in India and China and meet all these nice people. Dear IAT Team, Thank you for the honour and privilege of travelling with your company on the Navratri Tour. It was an experience that will live with me forever in many ways. I will definitely love to visit again someday and spend some time mingling with the local people, enjoying the delicious food at leisure and doing some shopping. You have excellent people who deserve to be mentioned for their dedication, efficiency and knowledge. Dear Mr. Deepak Sadotra, I wanted to thank for the great support and effort of Mr. Bhaskar Chakraborty. He made my parents really happy. During the trip of my parents in India organized by your organization they fell in love with a painting. However, they didn’t buy it. After their return I contacted your organization and asked whether it was possible to buy it and send it to Germany. Mr. Bhaskar Chakraborty replied and made the impossible possible considering the fact that they couldn’t remember for sure where they saw the painting. Now my parents tell all their friends and family about the great support of your organization and particularly of Mr. Bhaskar Chakraborty. Dear Ladies and Gentlemen, This tour was just perfect!!! Well planned with selected good hotels and a guide who made our trip unforgettable. Mr. Vikas Mehta did a great job and was VERY helpful. Also the bus crew was a pleasing experience. Result/respond in the group is so good, that already by now memers of the group asked me to organise a further trip - may be next February. Isn't this the best available feedback for a travel agency? Dear Amit, The group was absolutely happy with the tour - I got very good feedback from Mr Jankus & Mr Sypplie (they especially complimented Indo Asia Tours for their good help with their flight problem! :)) and from the couple Lochbaum. Dear Shailesh, The group is back and we already received many very positive comments about the trip. Our Tourleader Mrs Reichen also did send me a full report and everything was just great, the whole itinerary, Hotels, transportation, meals and again with the excellent guide Mr Ranveer aswell as the driver and his assistance. I would like to thank you for your excellent job and assistance you have done for us and the group. It was indeed a great pleasure for me to organize this trip through you and your organization – well done! Hi Vinay, I have spoken to Chris who had a fantastic experience. I am waiting on the feedback forms but Chris informed me that all of the pax thought that Vikas was the best tour leader they had ever had on any tour in the world. Great work!! Dear All, I just received following feedback from Mr. Mayer regarding John Deere Group. I am so glad that the clients are totally happy with every detail of the tour. In between we had a hard time with this tour, but thanks to all our efforts it turned out to be a big success! !